A blog for amateur athletes by an amateur athlete. An often repeated sports maxim is “Defense Wins Championships”. Even sports legends such as pro basketball player Michael Jordan have been quoted saying it. It’s become part of conventional sports wisdom, and is rarely challenged. I’ve said it many times while playing several sports, and was only ever challenged once. But, is it true? 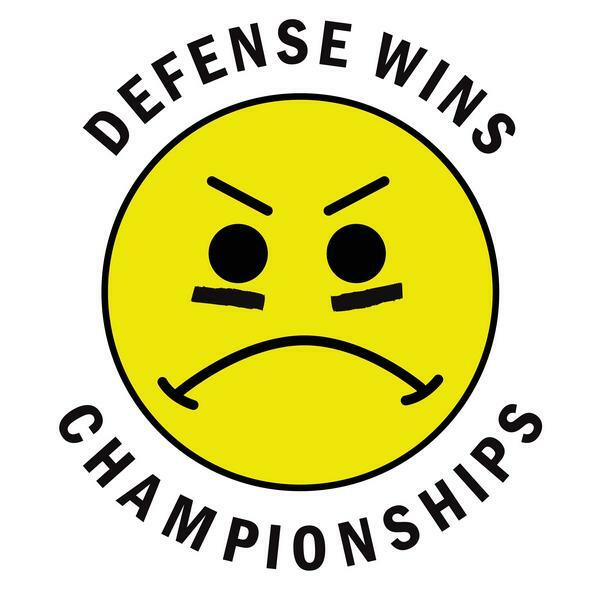 Is defense more important than offense when it comes to winning championships? The stats don’t say so. Of the 64 NBA championships from 1947 to 2010, the league’s best defensive teams during the regular season won 9 titles, and the best offensive teams won 7, which is pretty even. In the playoffs, the better defensive teams won 54.% of the time, and the better offensive teams won 54.8 % of the time–almost exactly even (the numbers don’t add to 100 because sometimes a team is both the best defensive team and the best offensive team). In the MLB: Among the last 100 World Series winners, the superior defensive teams won 44 times, and the superior offensive teams won 54 times. Among all postseason games, the better defensive teams have won 50.8% of the time versus 51.8% for the better offensive teams. That’s very even. The NHL and NFL data show similar results. Bottom line: Defense is no more important than offense. It’s not defense that wins championships. You need either a stellar defense or a stellar offense, and having both is even better. So why is this mantra popular? Probably because defense, although necessary, isn’t glamorous or glorified. Defense is considered “dirty work”. No one needs to create incentives for players to score more goals and make more jump shots or score runs and touchdowns. The players who score, not the defensive players, get the Nike shoe contracts and other endorsements. And that’s likely why people such as Michael Jordan extol its importance: To get players to do it well so that the team can win a championship. This entry was posted on Thursday, August 25th, 2011 at 6:13 pm	and tagged with defense and posted in Sports. You can follow any responses to this entry through the RSS 2.0 feed.